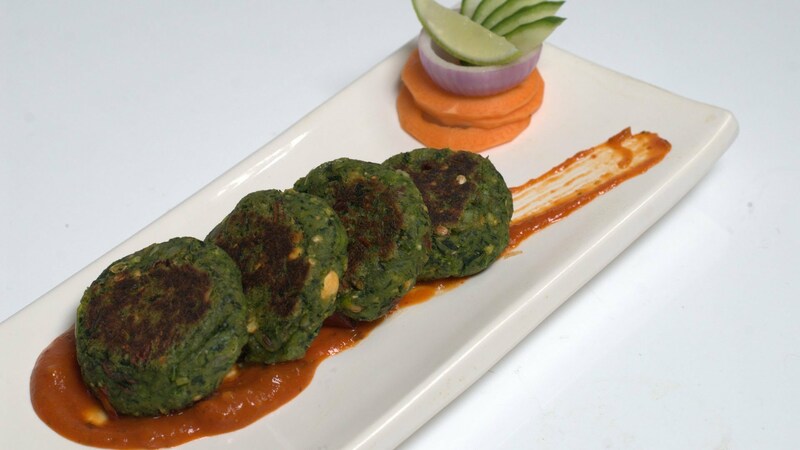 Another amazing recipe for ramazan, delicious Spinach Palak Kebab. Add all the remaining ingredients along with the chana dal mixture and salt mix well and cook on a slow flame for another 2 to 3 minutes, while stirring continuously. Sprinkle a little water if the mixture becomes very dry. Cool slightly and divide the mixture into 8 equal portions. Roll out each portion into a thin flat round kebab. Heat a non- stick tava and grease it using ¼ tsp of oil and cook each kebab on a slow flame, using1tsp of oil, till they turn golden brown in colour from both the sides. Serve hot. Check your Random Blood Sugar levels after 2hrs of having healthy kebabs. This will help us to understand how well your body can control sugar levels after having this.